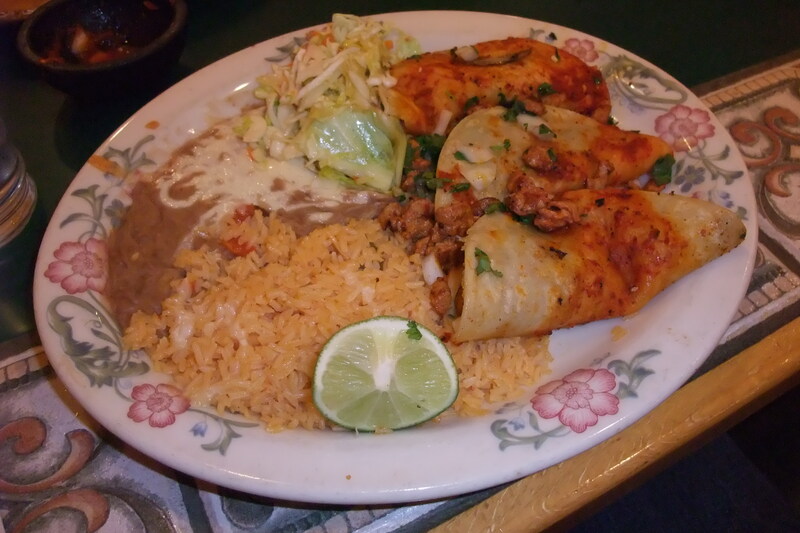 Ah Mexican food, for most people it consists of burritos and tacos stuffed with ground beef and dripping with cheese “sauce”. 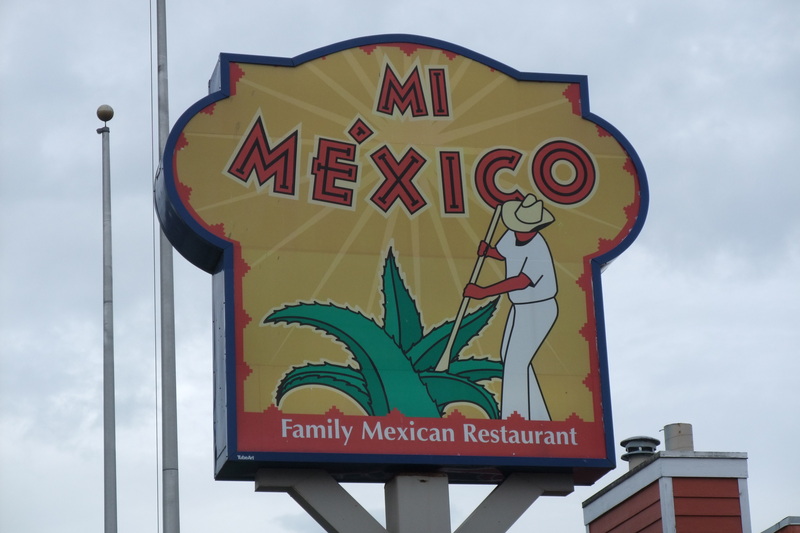 I admit that I am no expert on central american cuisine but I know that what passes for Mexican food in Canada is actually Americanized dishes not typically found in Mexico. 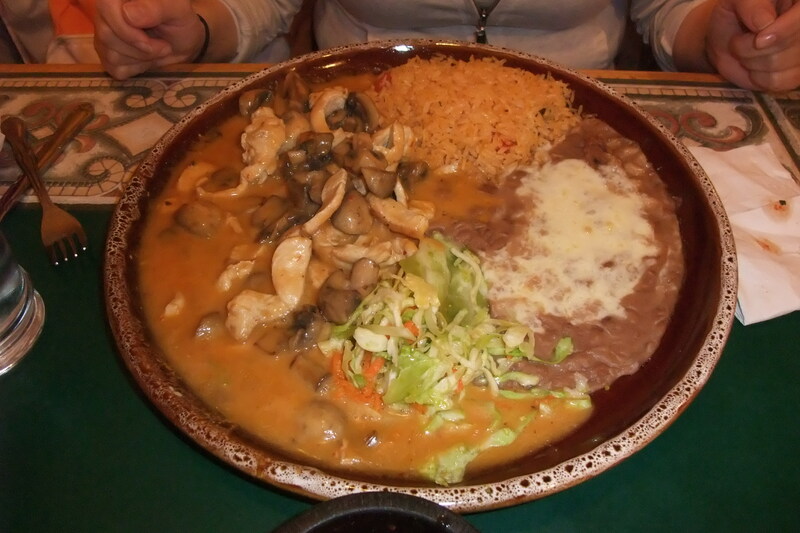 Mexican food actually rarely contains beef, instead focusing on pork, chicken and in coastal areas, seafood. 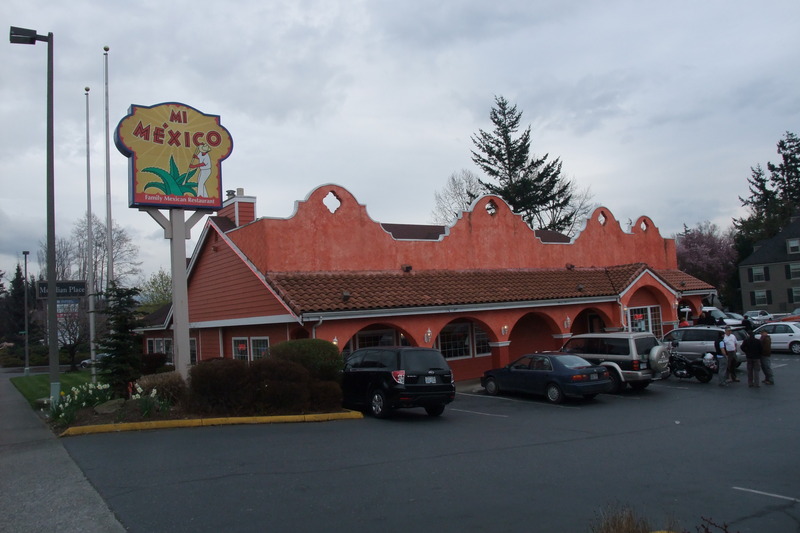 Mi Mexico, located at 241 Telegraph Road in Bellingham, Washington right across from Bellis Fair mall, offers a lot of traditional and “Americanized” Mexican dishes for very reasonable prices. 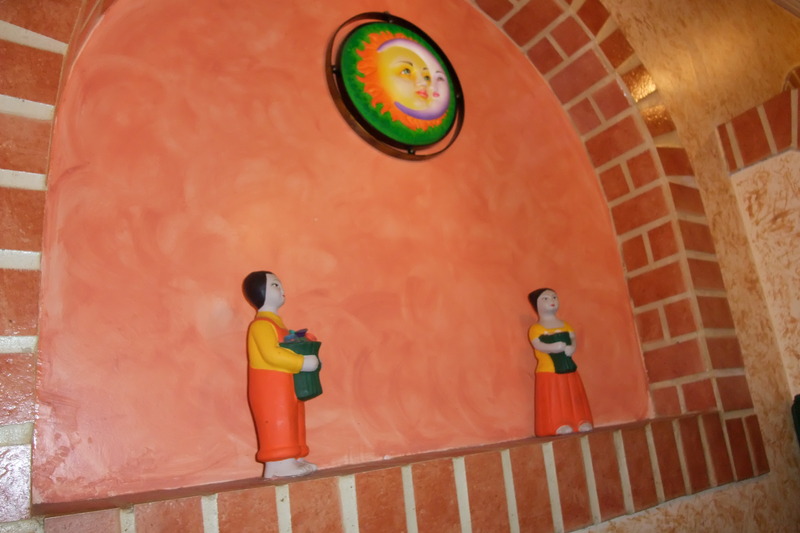 The decor in Mi Mexico is eclectic and very colorful to say the least which was a welcome sight after a long afternoon of outlet mall shopping. The staff are all fantastic, everyone called me amigo and they all smiled or tried to make my 1 year old laugh every time they walked passed, always stopping to see if we needed more chips and salsa or water. The chips and salsa were average, nothing that most Mexican restaurants don’t have, warmed chips and fresh salsa, with a choice between thin or chunky salsa. For my main I ordered Tacos Al Pastor, Marinated pork loin flame broiled and sliced with onions and cilantro on warm corn tortillas. The pork was very juicy and tasted fresh with a little heat but not as much as I had hoped for. Over all though they were really good and it’s nice to have a GOOD corn tortilla unlike the ones I’ve had in Canada. The sides were rice, beans and coleslaw. The Rice was quite fresh but I’ve heard from others that this varies by what time of day you eat here…The beans were a little runny but tasted good and the coleslaw was crisp and fresh and very mild. The cheese on the beans seemed a little pointless as it didn’t have any taste, the real star was the tacos. My shopping companion had the Chipotle Chicken Fajitas, it came with the same sides but she chose flour tortillas over corn. These are “build it yourself” fajitas and came on a huge platter, half of which was chicken and mushrooms in chipotle sauce. The sauce was nothing like chipotle I’ve had before, it actually tasted like smoked jalapenos, which is what chipotle peppers are. If that’s what real chipotle tastes like then I will never eat the stuff we have here again, this sauce was so smoky and savory with a nice amount of spice, amazing. She couldn’t finish it so I had the leftovers when we got home. The Canadian dollar is high, take advantage of it with cheap gas, outlet malls and Mexican food, you know you want to.